Log In: enter your email address and password. Repeat customers will be recognized and their Address Book displayed. New customers will be emailed a Password after completing the form. (If you do not see an email please check your junk/spam folders). Select the product you want to order and click the Buy button. This opens a new Cart. If you want to increase the quantity, enter the new quantity and select Update Quantity. Select Continue Shopping to return to the Products section and add another product to your Cart. If you need to delete a product, select Clear Basket and click on Products to return to store. Click Checkout to finalize order. Select a Shipment Method and enter information for Payment Method. Click Confirm My Order to view invoice and check order information. Select Change Order Information to change Shipment Method, Ship To, Bill To, or Payment Method. If information is correct, click Complete My Order. Print your receipt and save for future reference. ChurchOfSinvention offers the most secure method of ordering online. Simply shop as you would normally, filling your shopping cart then checking out. When prompted to choose your payment method, choose"Pay by Phone". You then must call Sinvention @ 519-273-3737 with your order number and one of our representatives will take your Visa® or Mastercard® number and confirm your order. This means that no sensitive information is transmitted over the internet or stored on any internet connected computer. Our studios are open from Monday to Friday. Office hours are 10:00 a.m. until 5:00 p.m. EST to speak to a representative or alternately you may leave your payment information on our secure voice mail. The Church of Sinvention Online Store also gladly accepts these credit cards via Paypal: MasterCard®,Visa® and American Express®. via the Paypal secure servers and services. You can also use your banks Debit Card to purchase by having a Paypal account. Safe, secure and easy! You can also pay by Money Order by using our shopping cart system as you would normally and at checkout when you are prompted to choose your payment method choose "Pay by Money Order". You will be given your total and an order number. Then go get your "International Money Order" from your Post Office and mail it to us. All funds are in Canadian dollars and we only accept certified International Money Orders. Please allow time for your funds to clear once we receive your MO. When you've finished shopping click the "check out" button. Create a new account or login to your existing account (if you have not done so already). If you are using a coupon, enter the coupon code. Provide your billing and shipping addresses and click "continue". 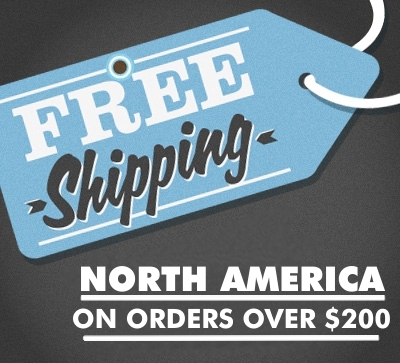 Select shipping method and payment information. Verify your coupon was applied on the Checkout Confirmation page. Submit your order and enjoy your savings!